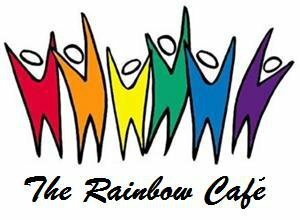 We invite any and all LGBTQ youth ages 13-20 to attend the next meeting of the Rainbow Cafe on Sunday, April 8 at 6:00 PM. All meetings are held at the Cresskill Congregational Church, UCC, 85 Union Avenue in Cresskill, NJ. For more information about the meetings, you may visit http://www.facebook.com/rainbowcafennj. Our big day is coming up on Saturday, April 28 at the NJ Association’s Annual Meeting at the Community Church of Short Hills. We will be discussing regular business items to include budget and amendments. We will also be voting to declare our association Open and Affirming. We need as many of your church’s voting delegates as possible. Many of you have attended our two retreats on this issue. You should have a copy of the resolution. In the event you don’t or would like to share it with another person, go here to read it. We are also hoping any church who has questions about this resolution, what it means and doesn’t mean for the local congregation, will contact Been Waiting for You or our Associate Conference Minister, Sherry Taylor. We have at the ready persons who can discuss this resolution with a pastor or members of any NJ UCC congregation. I am excited about this resolution as it will ensure that anyone who comes before the Association will know that their sexual orientation or gender expression will be affirmed. It also encourages churches who have yet to consider the ONA process, to do so. What it doesn’t do is force any church to affirm the dignity and benefit of any LGBT person. Be sure to spread the word. Your participation in this will ensure its success. We hope you are planning to attend our next gathering on Saturday, January 28 at 10:30 AM at the Stanley Congregational Church, Chatham, NJ. We have a wonderful meeting planned for you. In order to prepare for the meeting, we are asking you to review the updated Resolution and consider any questions you might have. Currently, the Resolution is on the NJ Association’s website: http://www.njassociation.org. Please review the entire Resolution and come to ask questions. We will be meeting again this month on Saturday, January 28 at 10:30 AM at the Stanley Congregational Church, 94 Fairmont Avenue, in Chatham, NJ. We will be meeting to mobilize volunteers and to spread the word to our local congregations educating them about the ONA Resolution at the Spring annual gathering. Our meeting will provide training you to have these conversations. We will also be meeting to hear a personal testimony from Bobbi Prato on being transgender. She will educate us with a “trans 101” discussion as well as sharing her personal faith journey with us. If you have always wanted to better understand transgender issues, this is a meeting NOT to be missed! We will have a tasty continental breakfast of donuts, cinnamon roles, fruit salad, pigs in a blanket, mini-eclairs, coffee and tea. To RSVP, please contact David Bocock (201-568-0608; bo@cresskillucc.org). If you have any questions, please direct them to Gregory Rupright (201-566-6543; gregrupright@aol.com) or Sherry Taylor (937-748-7772; revtowanda@aol.com). We had our gathering Tuesday night and what a wonderful time it was. We ate the best baked ziti that I can remember ever eating, salad with that tasty raspberry vinaigrette dressing, and topped it all off with all those wonderfully fattening desserts! I must’ve gone back for fourths. At the meeting, we discussed the proposed resolution to be presented at the April 2012 Association meeting. Each of the participants took the resolution back to their churches to talk about it. Sherry Taylor, our Conference Minister, told us what to expect as we gather support to present and pass it at April meeting. We also discussed addressing concerns to churches that might have questions about the resolution. Sherry will coordinate a guided response. We also asked who would be willing to discuss the ONA process with other churches, most all of the participants signed up. Unfortunately, we didn’t ask which church you were from and an email will be sent shortly asking you to identify your home church. Greg will be sending out an email to all the participants. We need this for our records. Finally, we talked about how ONA churches can continue the ONA conversation within their local church settings. Some of you shared what you were already doing and then we looked at the various resolutions of churches and discovered a wealth of ideas relating to all the discriminated people, not just those who are LGBT, that are listed in the resolutions. Realizing that the ONA conversation is also about gender, race, physical ability, and various situations in life, we learned that to keep the ONA conversation alive, we can speak to and about these issues as well. We plan to meet again in January (the exact date TBD) to review the resolution and to make sure we’re addressing the concerns prior to our proposal in April. We will also have another teaching session, which hasn’t yet been named. Thanks to all who who were present! And we’ll be looking forward to continued conversations and ideas about our future. All clergy, members, and friends of the NJ Association UCC churches are cordially invited to the ‘Been Waiting for You Dinner & Discussion Gathering’ on Tuesday, November 15th at 7:30 PM at Christ Church, located at 561 Springfield Avenue, Summit, NJ 07901. We will meet in Christ Church’s Barnwell Hall. The purpose of this dinner gathering is to enjoy one another’s fellowship and fabulousness. 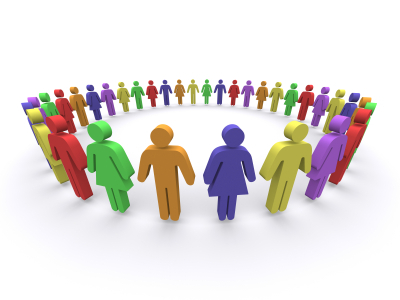 We also will review and answer questions regarding the ONA process for churches in NJ, identify volunteers who would help us educate UCC churches about the ONA conversation, and to discuss a proposed NJ ONA Resolution for adoption by vote at the NJ Association’s Spring Business Meeting in April 2012. 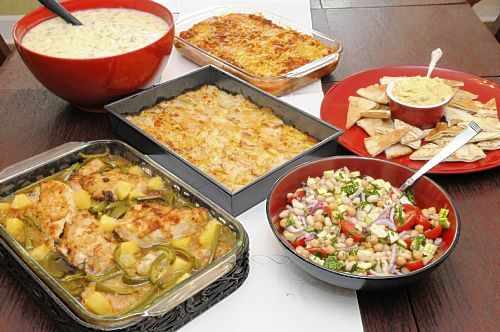 While the free dinner will be catered, participants are asked to bring a dessert. An RSVP is appreciated. RSVP’s can be directed to David Bocock (201-568-0608; bo@cresskillucc.org). If you have any questions, please direct them to Gregory Rupright (201-566-6543; gregrupright@aol.com) or Sherry Taylor (937-748-7772; revtowanda@aol.com) can answer your questions.